Finally I received Vintage items that I’ve so long waited. As soon as I saw those fabulous jewelry findings, I got thrilled to create new jewelry. The very first was a few earrings (I will definitely post photos of collections later) and when I saw this magnificent pendant, I decided to create a simple but beautiful necklace with it. 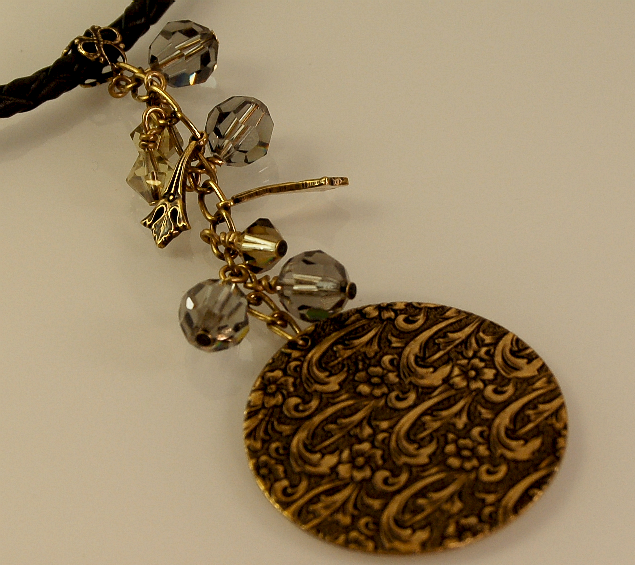 Pendant is Trinity Brass antiqued gold and it is hanging on antiqued brass chain. I attached to chain sparkling Swarovski beads.